As a passenger car driver in heavy traffic over the Easter period, I felt a lot safer driving behind a truck than I did in the chaos of the cars. Note the cars on the right. No, they’re not parked in a queue. They are traveling at around 120kph all up each other’s back-sides. 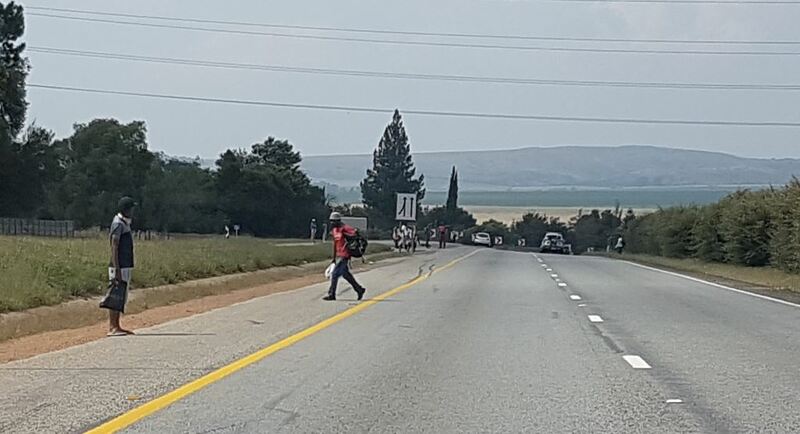 Maintaining a safe following distance is a basic of road safety and yet here, it is a distant dream. Let’s go, let’s go, let’s go – to an early grave. Given the widespread media coverage received since Transport Minister Blade Nzimande released the Easter road death toll, many readers will be aware of the shocking 14% increase in road fatalities over the period from March 29th to April 9th 2018 compared to the same period in 2017. According to the Minister, 510 people died on the country’s roads over this period, 61 more deaths than in 2017. 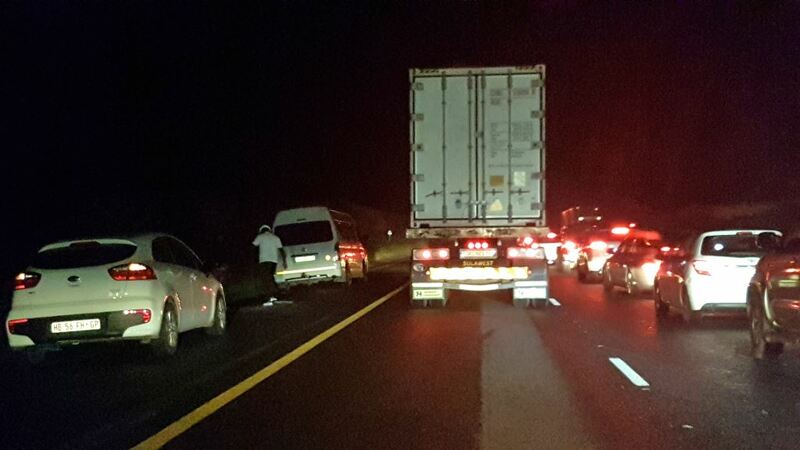 There was also an increase in the number of vehicles involved in fatal crashes over the extended Easter period. In 2017 this number ended on 349 crashes. In 2018 this number ballooned to 430. Commenting on these figures, the Automobile Association (AA) says the release of these numbers must serve as an urgent indication to government to bring all role-players in road safety into the fold to deal more effectively with this carnage. The number of pedestrians killed over the reported period went up from 33.8% in 2017 to 37.3% this year. I noted numerous hitch-hikers on the highways. 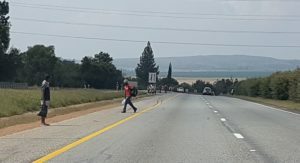 Of course there is a law that states no pedestrians are allowed on highways but this is South Africa isn’t it. Anything goes. A very worrying figure is the sharp increase in the number of pedestrians killed over the period – up from 33.8% in 2017 to 37.3% this year. The AA also points out the fatality numbers may increase after a 30-day waiting period after April 9th. This is a customary period when calculating final numbers to account for all road-related deaths during the dates under review. “These figures paint an extremely bleak picture. While there are commitments to bring these numbers down drastically, the opposite is happening. We remain of the view that a more concerted, cohesive approach, involving all role-players in road safety in South Africa must be considered as a matter of urgency,” the AA says. The Association notes that dedicated and consistent actions are needed to deal with the deaths of pedestrians. “Pedestrians are the most vulnerable road user group in our country. As road safety advocates, we believe education with this group is urgently required as is a change in driver attitude to sharing the roads with those most at risk. We also believe that dealing more effectively with pedestrian safety will greatly reduce the number of fatalities we see annually, not only festive periods but during the year as well,” the AA says. Another concern for the AA is the issue of effective policing compared to policing which focuses on processes. “We acknowledge that the Minister has a massive challenge ahead in this regard but any initiative to reduce these numbers will be welcomed. Too many available traffic law enforcement officials are still stationed at static sites checking for expired licence discs and driving licenses. This, in our opinion, while important, will not effectively reduce the number of fatalities. All available officials should be utilised better in the interests of road safety and reducing these horrific numbers. We hope this will be a key priority for the Minister to implement,” the AA concludes. There have been a number of other organisations commenting on these horror stats. FleetWatch has an opinion which we will stress in a future article. In the meantime, we found it interesting to note that nowhere in the Minister’s statement were trucks mentioned. From my experience driving to KZN on both of the busiest days, I found the behaviour of the trucks to be fantastic. As for car and taxi drivers, you are the pits. FleetWatch extends its sincere condolences to the families and friends of those who lost loved ones in this Easter carnage.